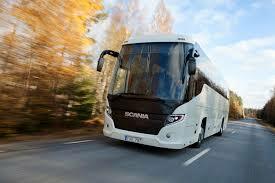 One of the top manufacturers of transit and travel buses, a Scania bus or coach provides reliable transportation. Ideal for downtown traffic or cross-country driving, there are different makes and models of these buses to suit different transit needs. Many Scania bus alternators are manufactured by a company known as Bosch, one of the leaders in heavy duty alternator manufacturing. 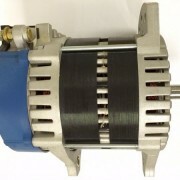 A heavy duty alternator in a bus must be able to withstand a high electrical output at idle. Think about how often a public transit bus may sit at idle, and all of the electrical operation occurring that the battery and alternator must be capable of handling. From chair lifts to lights, to the bus display, these vehicles need a high output alternator to get the job done. Unfortunately, Bosch alternators and other Scania bus alternators in these vehicles are designed to be high output – but at a price of high RPM. When a vehicle consistently idles at high RPM, several things happen. First of all, it takes a toll on the engine, and causes a lot of wear and tear. Secondly, this consistent high idle also causes the battery to spike often, and causes a lot of wear and tear on the alternator itself. To fix this problem, these heavy duty alternators also require installation of either high idle devices, load shedding devices, or multiple battery packs. However, Eco-Tech has come up with a better solution. Their line of heavy duty alternators also provide the high output that buses need, but at a much lower RPM speed. This eliminates the need for other installed components, while saving the company money in wear and tear. Where clients are most likely to see savings is in the fuel cost. Because these alternators require a lower RPM, the fuel penalty at high idle is eliminated, and thousands of dollars can be saved on fuel a year. 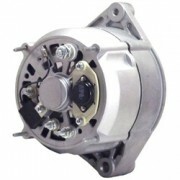 In addition to the fuel savings, the Eco-Tech alternator line is a smart choice because it is the much greener option. Better for the environment and more cost-effective makes the switch to Eco-Tech the most intelligent choice.